Pet friendly lodging is increasing at a steady rate. Nearly five percent of the hotels in the U.S. are pet friendly–a huge increase in the past ten years. We can mostly thank the baby boomers for this. And while it is not nearly as high of a percentage as European countries, it is getting better and Vacation Pet Friendly is doing what it can to increase these numbers. That said, there is plenty of pet-friendly lodging available so you never have to leave your pet home again. Check out this video to get a taste of what pet-friendly hotels are willing to do to make your pet-travels easy and enjoyable. Whether you are a first time pet traveler or a seasoned pro, here are some travel tips you will definitely want to read about. Most pet-friendly lodging comes in the form of hotels. However, we are seeing an increase in other forms of pet friendly lodging including bed and breakfasts and vacation home rentals. This is why Vacation Pet Friendly has added pet-friendly bed and breakfasts and pet-friendly vacation home rentals to its list of pet friendly lodging. Just think, less than ten years ago, people didn’t have an option. Even finding a pet-friendly motel was a hassle. Then we evolved and only dogs were allowed at the pet-friendly hotels. Slowly, these hotels are permitting cats. Things have changed considerably so you can either take your pet with you or leave him home. At least, now, you have a choice. Here is an article you may want to read. As the number of people traveling with pets rises, the hotels, motels, B&Bs and vacation home rentals have to cater to customer demand. By traveling with your pet, you become an advocate for pet travel. Vacation Pet Friendly strives to make pet-friendly lodging increasingly accessible. We also work to increase the number of facilities to allow pets. Read this short article on what you will need to know when visiting a pet friendly hotel. Traveling with a pet is easy. It just takes some getting used to. The most important thing to do after you find pet–friendly lodging is to find out the many activities that allow pets. We are seeing an increasing number of pet-friendly tour and adventure companies. Even gardens are beginning to allow pets. Nearly every city in the U.S. has at least one pet-friendly park, if not, its own dog park. Pet friendly beaches also are popping up, even if they are only small sections. America is finally becoming pet friendly in all aspects! When researching pet friendly lodging, check to see if there are weight restrictions, limits on the number of animals you may bring, or any other policies. Some places charge a little more for larger breed dogs, some hotels and motels require your animal to be crated while your room is being cleaned. It should be fairly easy for your pet to acclimate to new surroundings as long as he is with his family. Consider bringing some old sheets or blankets from home to provide comfort for more sensitive animals. With these tips, the hardest part of your trip may be finding the right place to stay. Begin your research with us on our Travel Guide pages. We have compiled lists of pet friendly lodging by city and state, so that no matter where your travels take you, you absolutely do have many options. Hotels and motels books early, so don’t delay! Start your research now. Plan where you are going to stay, visit, play and relax. On average, the typical hotel charges anywhere from nothing to $100 per stay. Some have a cleaning deposit and most give this back upon departure. A kennel on the other hand, cost daily. The typical charge may range from $35 on the low side to $75 for the higher end kennels. Even if you pay a small fee at the hotel, it’s still cost less to take your pooch or cat with you. Vacation Pet Friendly has the largest inventory of pet friendly hotels online, including listings of more than 35,000 pet friendly hotels in the U.S. alone. We also have more than 300,000 including those worldwide. Plus, you can count on getting the lowest price, which is backed by our low price guarantee. We often offer hotel deals that cut the price by at least 35% to 65 %. Plus, many of the pet-friendly lodging facilities provide added perks for pets such as dog beds, specially-made treats and even room service! 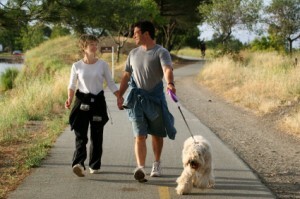 Vacation Pet Friendly also has listings for pet-friendly B&Bs, vacation homes and motels. Plus, you can find listings with maps and comments for pet friendly parks, beaches, restaurants, veterinarians, shops, pet stores and much more for every U.S. city. It’s all on one website to make your travels easy.